A Disgruntled Republican in Nashville: (update) What's on the Council Agenda for 6/7/2016: Budget hearings, expanding Metro employee benefits, unisex bathrooms, free parking for old people. (update) What's on the Council Agenda for 6/7/2016: Budget hearings, expanding Metro employee benefits, unisex bathrooms, free parking for old people. The Council meets at 6:30PM Tuesday, June 7th and you can go to the courthouse and watch the meeting in person, if you are so inclined, but unless you are trying to influence a Council member and think your presence in the audience will exert an influence, I don't know why you would want to. Meetings are broadcast live at Metro Nashville Network's Government TV on Nashville's Comcast Channel 3 and AT&T's U-verse 99 and are streamed live at the Metro Nashville Network's livestream site. You can catch them the next day on the Metro YouTube channel. If you will wait, I will watch it for you and post the video and point out the good parts so you can go to that point in the video and watch just that segment. Also, I will tell you what I think about what happened. Council meetings are really boring and I watch them so you don't have to. If you are going to watch a council meeting, you really need the agenda and the Council staff analysis or you won't know what is going on. I am only listing what I think are the most important items and things that I think may generate some controversy. Confirmation of appointments to Boards and Commissions: There are nine positions on the agenda. Unfortunately, the Council never rejects an appointment and does not take their responsibility to confirm appointees seriously. All will no doubt pass without a dissenting vote. If I were on the Council I would cast a dissenting vote and vote against confirmation of the appointee to the Human Relations Commission. Budget hearings: There are two bills on public hearings. One is the operating budget (BILL NO. BL2016-232) and the other is the capital improvements budget (BILL NO. BL2016-252). Due to growth, Metro is awash in money. Without raising taxes, this budget is a proposed $2,087,320,200 which is a 6.1% increase over FY2016. The 2016 budget was $1.968 billion, which represented a 4 percent increase over FY 2015. Under this proposed budget, Metro will be spending $119 million more than they are spending in the current year. Awash in money, the city waste an enormous amount. We do not spend wisely. Barely worn sidewalks are routinely ripped up and replaced instead of expanding sidewalks to streets without them. We unnecessarily fund a public charity hospital that can not fill its beds. The Municipal Auditorium and Farmers Market continue to lose money. We have a Human Relations Commission whose only purpose is to indoctrinate in political correctness and advance a liberal agenda. We should privatize general hospital, sell the municipal auditorium, abolish the Human Relations Commission, put Farmers Market on a short leash and maybe close it or relocate it, and should reduce the rate of budget growth for all other departments across the board. If I were mayor, I would have an outside consulting firm study each department looking for waste, duplication, and inefficiencies so we could better allocate resources, spend more wisely, and cut taxes. Also high on the agenda would be changing Metro's pension system from a defined benefit system to a defined contribution system. This would not immediately save money but would avoid a crisis down the road. Metro produces a good Citizens Guide to Metro Budget. A few hours study and any citizen can know as much about the Metro budget as any council member. At the budget hearings expect person after person to call for more spending for schools, parks, libraries, sidewalks, General Hospital, and other pet projects. 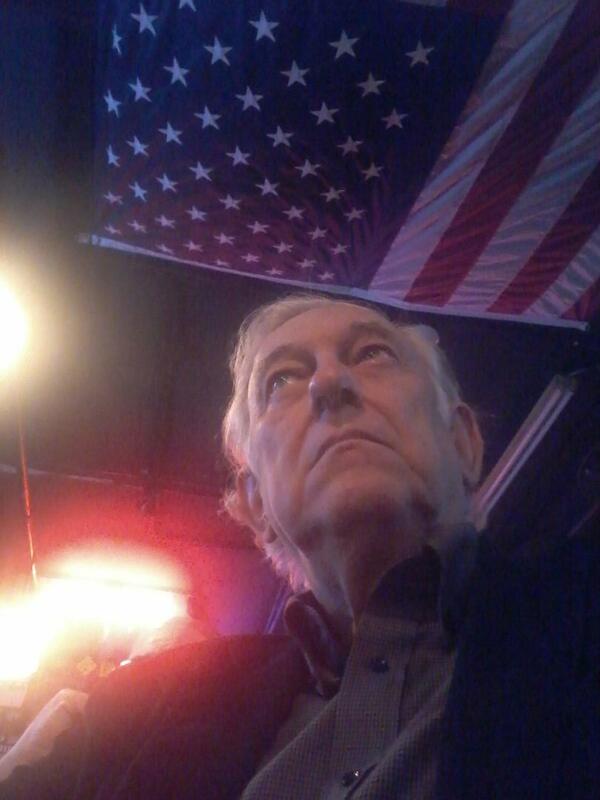 Unfortunately, Nashville's conservative and tea party activist are not very active and seem not to care a great deal about local government. They only get motivated about once ever eight years to oppose a proposed tax increase. While liberals are active day in and day out and are at every budget hearing asking for more spending, conservatives are not to be seen calling for less spending except in the years of proposed tax increase. It is not surprising that liberals win. The capital improvements budget is not really a budget. It appropriates no money. It is a planning documents that prioritizes capital spending projects and list the source of the funding. Before something can be funded by the Council, it has to be in the Capital Improvements Budget. A lot of items in the CIB will never be funded. How many of those listed as a high priority get funded depends on how much money the Council puts into debt service to finance projects. Putting something in the CIB does not necessarily mean it will get build, but if it is not there, it won't. Resolutions: All resolutions are on the "consent agenda" initially but if there are any negative votes in committee they are taken off of consent. Also any council member may ask to have an item taken off of consent or to have his abstention or dissenting vote recorded. All items on consent are passed by a single vote instead of being voted on individually. There are several items on the agenda adopting new pay plans for different departments, essentially giving pay raises to employees in those departments. These will be deferred to "track with" the budget. There are also bills to issue revenue bonds to fund construction projects that will be deferred to track with the budget. There are quite a few resolution to accept grant money. Some of them require a local match and some do not. There are a couple resolutions to settle law suits out of court. None of the resolutions on the agenda are particularly controversial or of particular interest. This resolutions are of interest. RESOLUTION NO. RS2016-219 is a resolution which is part of the effort to bring natural gas compressor stations under the licensing authority of Metro government. Currently, as I understand it, local governments cannot regulate the location of natural gas compressor station due to the Federal government's authority to regulate interstate commerce and the Federal government taking the view that if local governments prohibit these stations that that is an illegal regulation of interstate commerce. There is however a method for allowing local government to exert some control and this bill is part of that effort to obtain that authority. There are natural gas compression stations planned for Joelton and Antioch and considerable community opposition to them. RESOLUTION NO. RS2016-259 approves an application for the Four-Forty Greenway TIGER VIII Grant from the U.S. Department of Transportation to construct the Four-Forty Greenway from Melrose/Battlemont Park to Boyd Park. 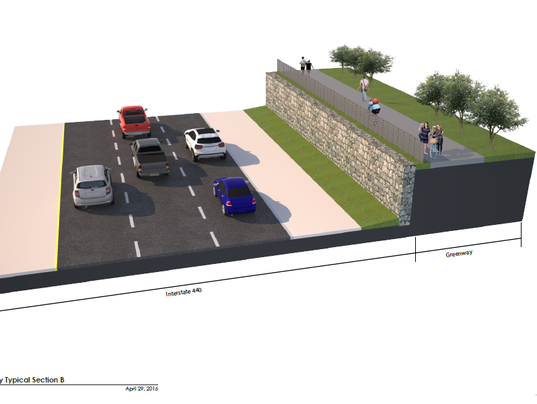 For more on this see the Tennessean's report, City plans I-440 Greenway. RESOLUTION NO. RS2016-269 request that the Metropolitan Planning Department prepare and/or submit to the Metropolitan Council maps depicting current locations of federally subsidized housing developments by 50%, 60%, 80%, 120% AMI, as well as affordable and workforce housing units in Nashville & Davidson County. I assume this is part of an effort to discourage the development of affordable housing. While many people advocate for more affordable housing there is also a concern that affordable housing concentrates poverty. Having the information requested by this resolution, would make it easier to kill affordable housing developments. RESOLUTION NO. RS2016-270 request the Employee Benefit Board to establish and implement a parental and sick leave policy allowing maternity and paternity leave for employees of The Metropolitan Government of Nashville & Davidson County. My initial view of this is that Metro employee benefits are already much more lavish than those awarded employees in the private sector and that this is not appropriate. There are 43 bills on First Reading. I do not read them until they get to second reading. First reading is a formality that allows bills to be considered and they are not evaluated by committee until they pass First reading. There are 21 bills on Second Reading. Many of them are zoning bills and I do not form an opinion on every zoning bills and only pay attention to those that I assume are controversial or have an impact beyond a single neighborhood. These are the bills on Second Reading that interest me. BILL NO. BL2016-252 establishes the tax levy for the coming year. This year's budget does not call for increasing the tax levy. BILL NO. BL2016-235 increases the fees Metro Public Works charges for certain services to reflect the departments cost of providing these services. BILL NO. BL2016-238 would permit some establishments to have unisex bathrooms. These seem reasonable to me. Read about it here. BILL NO. BL2016-244 wold allow Metro to enter into an agreement with the Trust for Public Land to implement the Nashville Climate Smart Cities Program to assist Nashville with the development of climate-smart green infrastructure. I don't have anymore information on this but it sounds suspicious and hope it gets close scrutiny. BILL NO. BL2016-220 would expand the requirements regarding reporting litigation matters to the Metropolitan Council. The Department of Law would have to report to the Council all final judgements against Metro, quarterly have to report to the Council all lawsuits against Metro where the claim is greater than $300,000, and some additional information. This is a positive proposal. BILL NO. BL2016-221 would remove a section of the code that regulates "dance halls." The provisions of this code are redundant to other provisions of the code. Currently, if an establishment permits dancing they must have a dance hall permit. This removes that requirement. The city will lose about $40,000 a year if this passes but I view this as a positive development. BILL NO. BL2016-234 would add “natural gas compressor stations” to a list of facilities regulated as a “major source” of air pollutants which require a local permit and would do some other things. This is part of an attempt to stop proposed natural gas compression stations planned for Joelton and Antioch. Federal law says that local government can not stop these developments and the Federal government has the right to permit them. However, there is a process whereby a local government may gain permitting authority and this is part of that process to gain that authority.